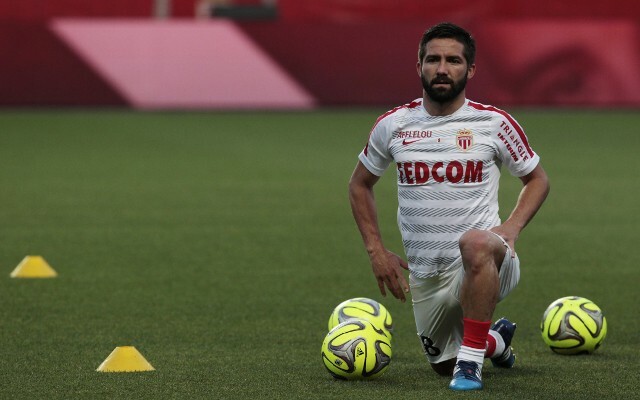 Manchester United‘s hopes of bringing Joao Moutinho to Old Trafford may be put on hold until after Euro 2016. According to Fichajes [via the Metro], United had been put on red alert following news that the Portuguese metronome had asked super-agent Jorge Mendes to secure him a move away from AS Monaco. Mendes may well have a major say in United’s immediate future, with the player representative and influential client understood to be planning to bring Jose Mourinho and Andre Gomes to Old Trafford as part of a major facelift. Despite investing heavily in the midfield during the summer, Louis van Gaal is open to the arrival of Mourinho, particularly in light of the mooted departures of Marouane Fellaini and Ander Herrera. However, L’Equipe [via Made In Foot] report on Thursday that the deep-lying playmaker is having doubts about a move. The French reports note that the exquisite creator is concerned about his hopes of representing Portugal at next summer’s European Championships should he gamble and accept a midseason switch to Old Trafford. Arsenal are also understood to be keen on the former FC Porto man.